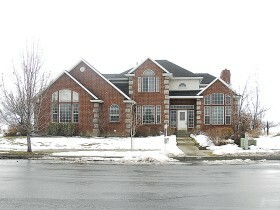 This Spanish Fork House for Sale is currently sold. Most of our team live in Spanish Fork UT and would be happy to show you some homes here. Feel free to check out a list of available homes for sale in Spanish Fork Utah. Spanish Fork is a city that settled way back in 1851 and lately is a part of state Utah of United States. It is a relatively larger and a well settled city as compared to some of the surroundings cities like Mapleton and Springville. The population of Spanish Fork, Utah is around 34,691. Spanish Fork has around 9,069 households, and 7,885 families residing in the city. The population density was 2,252.7 people per square mile. There were 9,440 housing units, at an average density of 613.0 per square mile. At the 2000 census, the median income for a household in Spanish Fork Utah was $62,805, and the median income for a family was $64,909. The per capita income for the city was $17,162. About 4.3% of families and 6.2% of the population were below the poverty line. The largest private employer in Spanish Fork is Mountain Country Foods with around 350 employees. Some of the other larger businesses in Spanish Fork Utah are SAPA, Klune Industries, Longview Fibre, Nature’s Sunshine, Rocky Mountain Composites, J.C. Penney, Western Wats, and Provo Craft.